Shopping for Kingdom Hearts Watches? 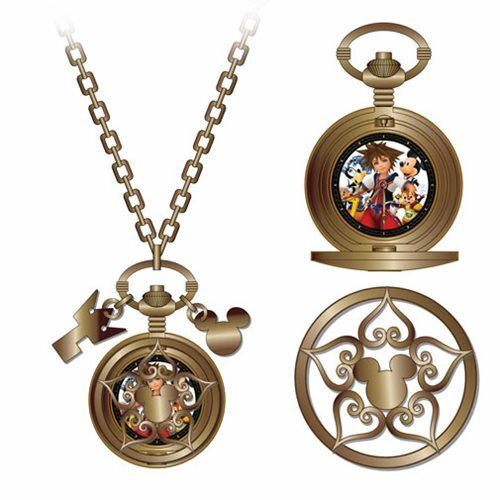 The Kingdom Hearts Icons Pendant Watch is an antique gold pendant watch with a die-cut heart on cover printed dial inside. The watch has Key Blade and Mickey Mouse charm. The cover has a cut out heart art on cover.